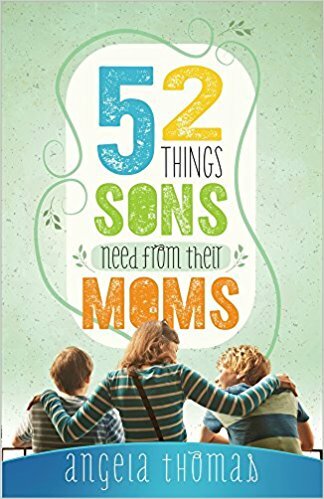 52 Things Son Need From Their Moms by Angela Thomas. I know I have mentioned her books before and I have to say this one is just as good as the others that I have read. Angela always speaks to my heart. This one left me wishing that I could be friends with Angela in real life because moms really do need a friend to run beside them (page 59) and I wish that I had a friend running the spiritual race along beside me all this time, helping me encourage my sons to make Christ the center of their lives. Each chapter is short (there 52 and this is a skinny book, so it's a quick read). I shared a page from this book on my Instagram the other day because Y'ALL!!! I didn't even realized it had a name! This one broke me down! 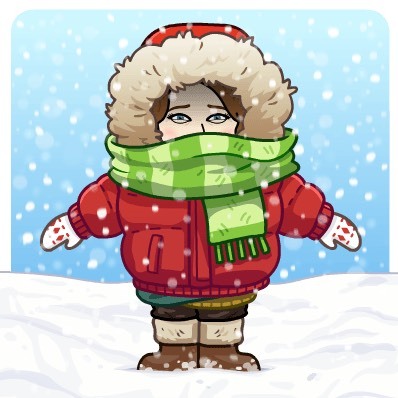 It broke me down because I have recognized signs that "the fog" is starting to creep into my house again, this time it's coming for Evan (& I dread it so bad). 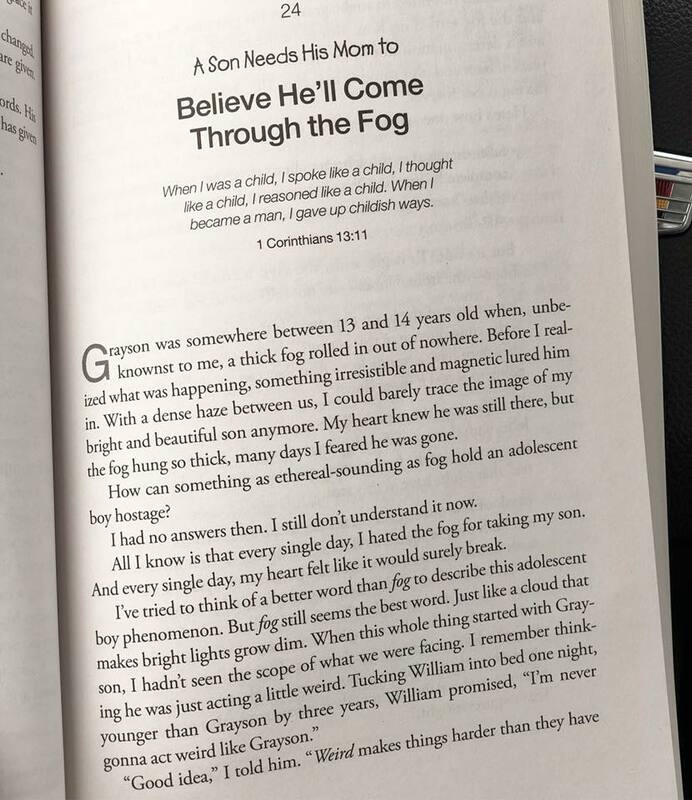 I really enjoyed this one and feel better about the job that I'm doing raising these boys to be Christian men. 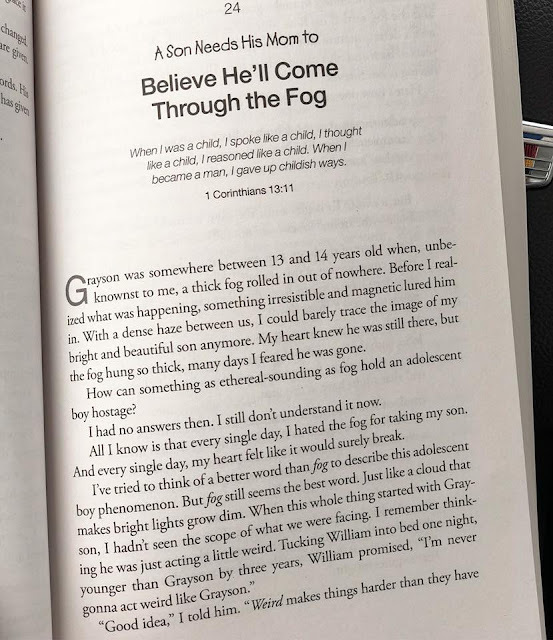 No matter how old your boys are, I think you would enjoy this book. 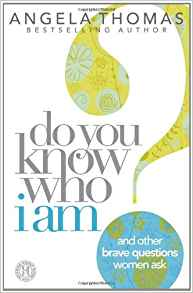 This past November, I read another Angela Thomas book: Do You Know Who I Am? I posted about it on Facebook, but forgot to add it to the blog. I bought this book about a year ago but didn't get time to read it, so it's been sitting on my shelf in the "need to read" pile for forever. In the past two weeks I have been to both Books A Million AND Barnes & Noble looking for a new book to read. I COMBED the store looking...NOTHING sounded good to me & I both times I left empty handed. I realize now, it was no accident. Last weekend something made me pick this book up off the pile and start reading (and when I say something, I know exactly WHO gave me that nudge) it was weirdly automatic like, "This one, I need to read this one, right now". 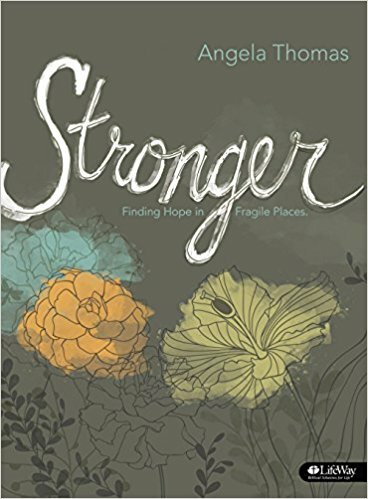 Long story short, this past week has been a challenge (and when I say a challenge I mean it was a raging dumpster fire) and more than once I've stopped and reflected on things that have been put in my path only to recall something I read just the night before in this book that gave me strength. They were words I needed to hear. God's timing is always perfect, I have not doubt about that now. Angela Thomas-Pharr has been a blessing to me more than once with her wonderful books. Order this one, friends. It is SO good! You might also enjoy her bible study: Stronger. I did this one a couple of years ago and it was so good! I blogged about it, you can read about that one here. And, this is just THREE of the MANY books that she has written! You can see the others here. Right now I am reading a new one by Max Lacuado and it is becoming apparent that He put this book in my lap for a reason as well. I'll be back to tell y'all about it soon. I have about five books on my pile right now, but I'm always looking for a new one! Book nerd friends are the best friends!